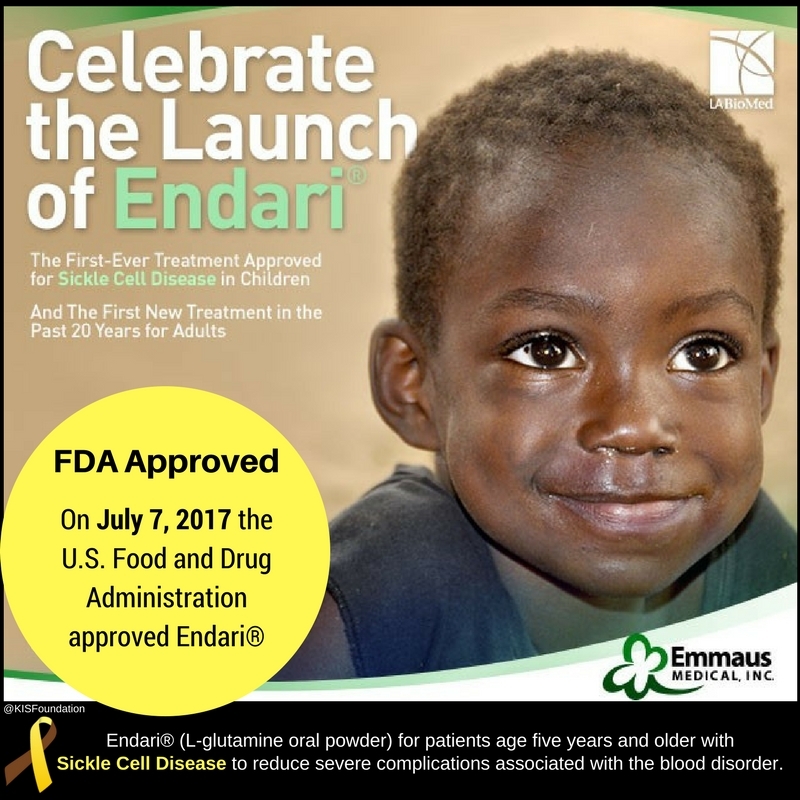 On July 7, 2017 the U.S. Food and Drug Administration approved Endari® (L-glutamine oral powder) for patients age five years and older with Sickle Cell Disease to reduce severe complications associated with the blood disorder. This represents the first-ever treatment approved for children and the first new treatment for Sickle Cell Disease in almost 20 years. Patients who were treated with Endari® experienced fewer Sickle Cell Crises, fewer hospitalizations for Sickle Cell Pain, fewer days in the hospital, and also had fewer occurrences of acute chest syndrome (a life-threatening complication of Sickle Cell Disease). The FDA granted the approval of Endari®, a life-changing treatment developed at LA BioMed and licensed to Emmaus Life Sciences of Torrance.